5th grade math can be very challenging as it gradually introduces students to more abstract and complex concepts. 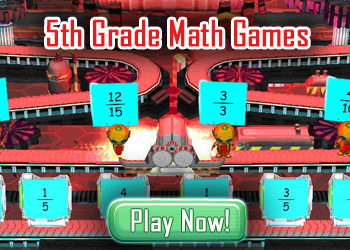 The free online math games for fifth graders take into consideration their unique developmental characteristics and aim to provide challenging and intellectually stimulating material. 5th graders are generally between 10 and 11 years of age. It is important for parents and teachers to ensure that at this age, kids are spending their time productively and are honing their skills and interests. Many kids tend to develop a dislike for math at this age. As the subject gets more complicated and concepts get tougher, kids tend to give up easily. But math can also be a fun subject to learn, provided the kids see its relevance and grasp every progressive level well. 5th grade math builds heavily on all the concepts taught in the earlier grades. Math students in this grade learn to find factors of numbers, determine the highest common factor or least common multiple of two or more numbers, know the appropriate units of measure, calculate equations containing fractions with uncommon denominators, and lots more. 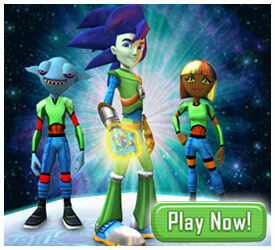 Get fifth graders hooked on the cool math games in the online virtual worlds at Math Blaster and JumpStart! 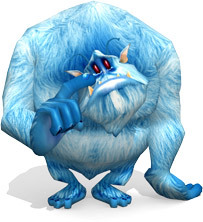 With all kinds of games and an exciting theme, the virtual world at Math Blaster integrates math into its fast-paced action and encourages kids to solve math problems quickly to move ahead. Kids can choose the kinds of problems as well as the levels of difficulty that they want to attempt. It’s the perfect combination of learning and fun!